I’ve been thinking about this for the last two weeks since the weather turned warm enough for all the blooms in the city to start releasing their scents. I do wonder though how come I never realized it before – I grew up with a linden tree in our court yard and I know the smell. I just didn’t realize it before this year though how much linden trees there actually are in Zagreb. 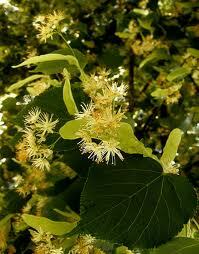 The wonderful thing about the smell of linden is the fact that it can be both sultry and refreshing. I would never have thought it, but the heat wave we’re having at the moment is making the smell of linden blossom permeate the air in a wonderfully sultry manner – the air is very humid and hot and the smell of linden flowers just fits with the idea I usually have reserved for tuberose (and some other white flowers). But, if you climb some of the city hills and enter into a bit more fresh air, the smell of linden feels refreshing. Reminds me actually of having a glass of cool juice made of elder syrup (rather common here). Basically, if you’re walking or driving an open vehicle, the city smells great. It’s just a matter of where you are, whether you will be feeling languid, warm and saturated with the smell or a bit refreshed and lively. We have a lot of linden trees in NYC too. It’s nice to have something lovely to smell along with all the other things that are not as lovely . . . I know exactly what you mean since I’ve just recently experienced linden in both stances. And I know why you haven’t noticed those trees in the city before: this year in some areas linden blossoms abnormally. Both in Vienna and Paris I could barely notice those trees. I am green with envy, I love the linden note, and yet, as far as I can tell, it is almost entirely absent from dear London and I feel I may have missed the trees when in NYC too. Perhaps I should make my way to Zagreb to share in their beauty and your current heatwave too! Now that does sound like a splendid way to spend a chunk of June. I don’t know of any linden-forward towns and cities in the UK, but after exposure to the trees in Berlin and Paris – though they had to be pointed out to me, as I am not very up in vegetation! – I will be on the lookout for them in future. It is such a pretty and sensual note as you say. I smell a lovely scent in the air and then realize it is linden I smell (it’s not an instant connection for me).